Residents of a Wise County neighborhood experience damage from a severe storm that produced tornadoes and floods Thursday night. The National Weather Service has confirmed two tornadoes touched down in North Texas Thursday night, both EF-1 with winds up to 110 mph. 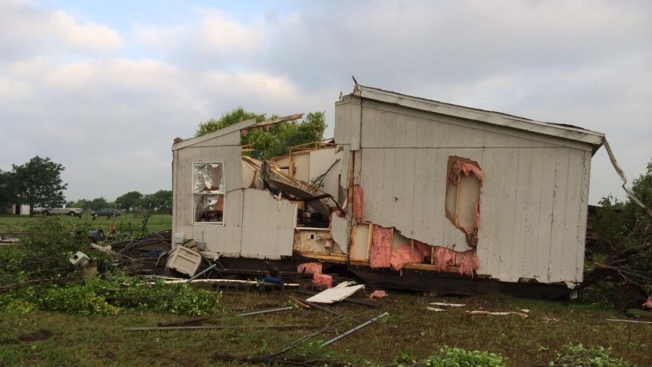 The tornadoes, the NWS said, were both multiple vortex tornadoes which produced non-continuous damage for several Miles across portions of Wise and Denton counties. EF Scale: THe Enhanced Fujita Scale classifies torndadoes into the following categories.